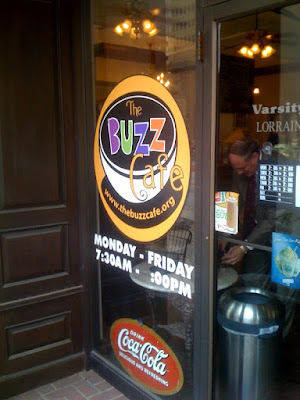 The BUZZ Cafe in downtown Baton Rouge was one of my favorite lunch spots back when I used to work in the area. 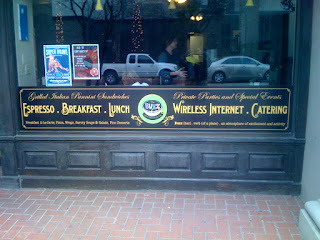 It opens up early for breakfast and coffee but I always showed up around the noon hour to grab a sandwich, soup, or an occasional salad if I was feeling particularly rabbit-like that day. Most of the time I stuck with the hot grilled Italian panini sandwiches, of which they had multiple to choose from. All sandwiches come served with some of their "gourmet" potato chips and a pickle wedge. I typically throw the pickle on the ground, go wash my hands, then enjoy the chips and sandwich. BUZZ Cafe offers a rather friendly environment to enjoy your breakfast, lunch, coffee, or snacks. They've got some comfortable tables fit for meeting colleagues, wi-fi for people trying to surf the web or get some work done, and a coffee bar where you can read the paper and chit-chat with the baristas. Good times! 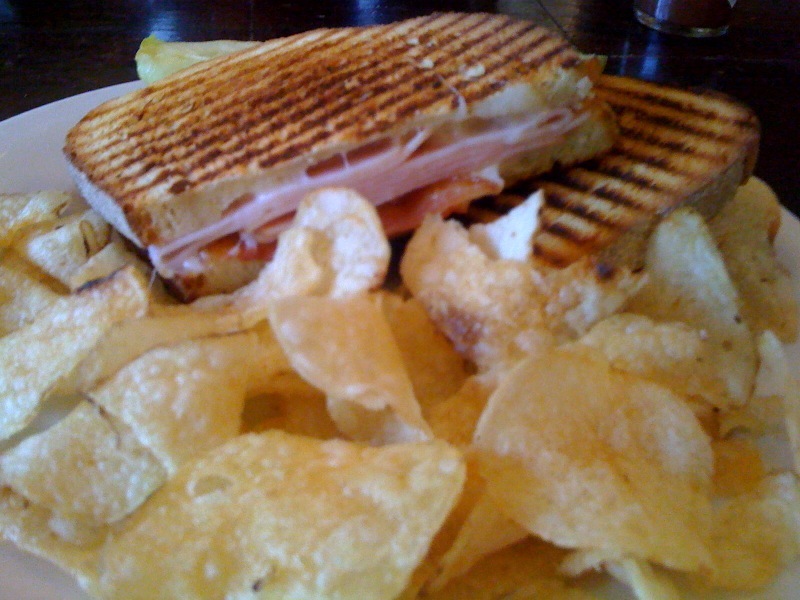 As I said before, the panini's are usually my go-to item on the menu. Priced around $8, the sandwiches aren't a bargain, but they aren't ridiculous either. Many offer grilled chicken with various cheeses like bleu cheese crumbles, melted mozzarella, and cheddar. I'm not usually a big mayo fan, but their garlic mayo is certainly worth getting on your sandwich. They also had other sandwich toppings like Roma tomatoes, fresh basil, and hickory smoked bacon. Hard to go wrong there! 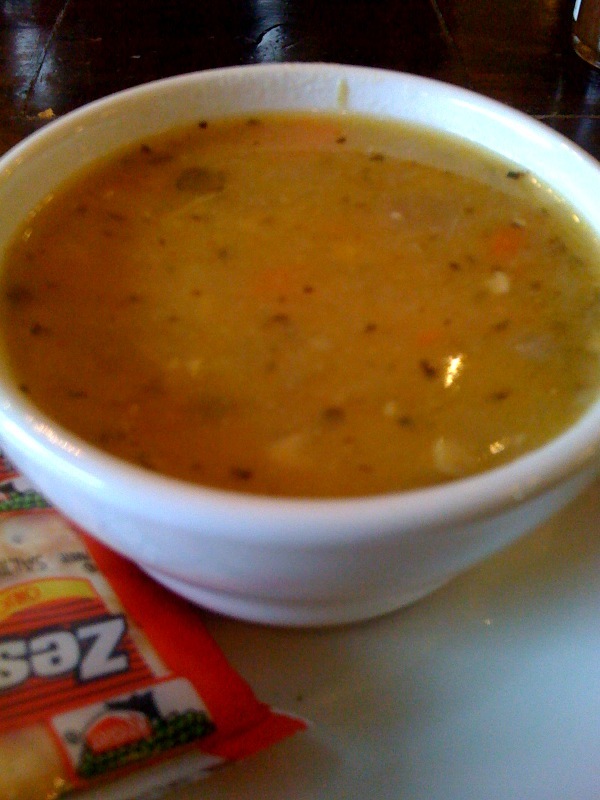 And, of course, you could always go with a bowl of soup, one of their pretty good salads, some quesadillas, a deli sandwich, or a wrap. Pictured above is a bowl of BUZZ cafe's vegetable soup and and a turkey panini. Naturally, no meal is complete without a little something sweet. 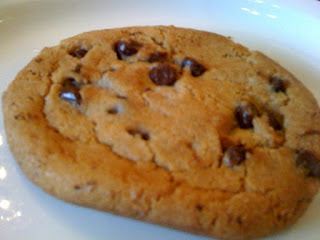 This fresh baked chocolate chip cookie sure hit the spot! It is places like this that make me miss working downtown. There's something great about being a brisk walk away from multiple dining or hang-out establishments. 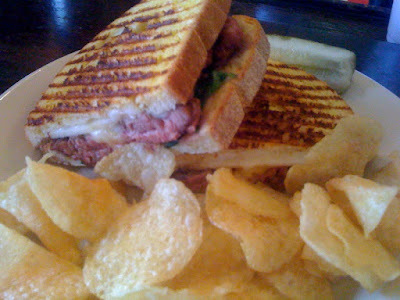 The BUZZ Cafe certainly made my list for its casual, relaxed atmosphere and pretty decent sandwiches!